Native American culture is rich with wonderful folktales and legends. I have featured three of my favorites and written a mini thematic unit, designed for students in grades 1 through 3, about each. The teaching unit for Legend of the Indian Paintbrush by Tomie dePaola is geared toward first grade. The Gift of the Sacred Dog by Paul Goble is geared towards second grade. And the lessons for Legend of the Bluebonnet also by Tomie dePaola are geared toward third grade. The teaching units include learning activities for all of the disciplines, including language arts, math, science, social studies, arts/crafts, and research / library information skills. This picture writing chart which features some simple symbols can be used with some of the thematic activities in the units. 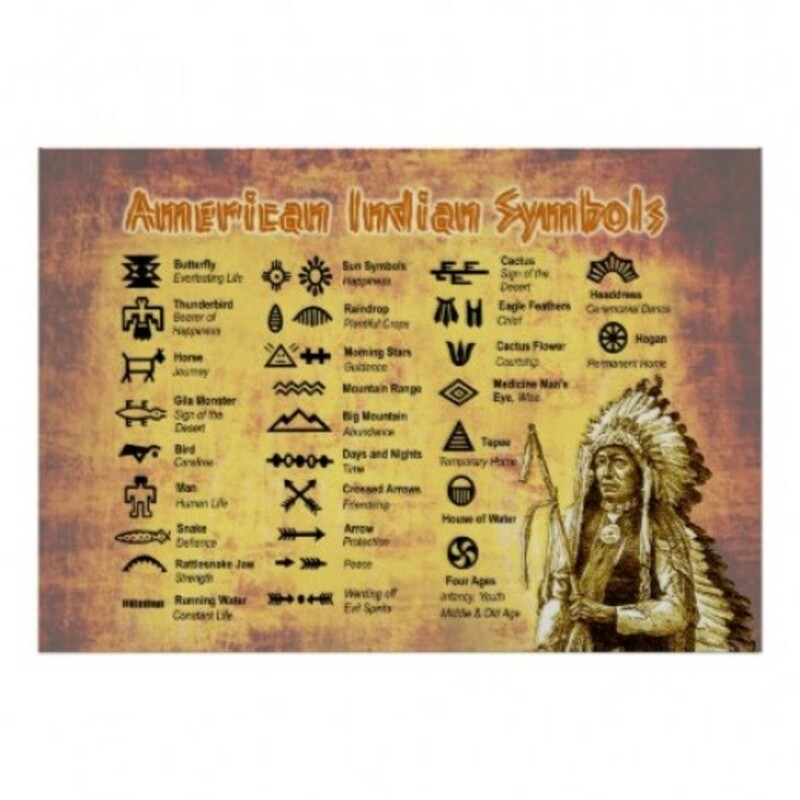 Indian Symbols is available on zazzle. Native American legends make an excellent springboard for thematic units about Indian History and Culture. This outstanding book is an excellent choice on which to base many learning activities. The author is also a noted illustrator. Tomie dePaola always wanted to be an artist and began painting at age four. Every night his mother would read him stories, folktales and legends. He drew many pictures during his school years and went to the Pratt Institute, a special art college, to learn how to use all the art mediums. After graduation he worked as an illustrator, but it took several years of hard work before he was offered a book to illustrate. His first book was called Sound. Since then he has illustrated over 100 books. He lives in New London, New Hampshire with his new Airedale dog, BrontÃ«. Visit his official website, Tomie. Select 5 vocabulary words from the story and write them on cards. Onto a chart, copy the 5 sentences that the words appear in from the story, leaving the word blank. As a group, discuss which word goes in the blank on the chart. All of the words will make sense in the sentences, so the class will need to decide which answer they feel is the best. Create a folder activity with the inside of the folder divided into 3 parts with the words, "People, Place, Thing" at the top of each section. Put a selection of Native American vocabulary words onto cards or paper moccasins. Be sure there are some that are people, places and things. Have the children sort the word cards into the 3 groups. 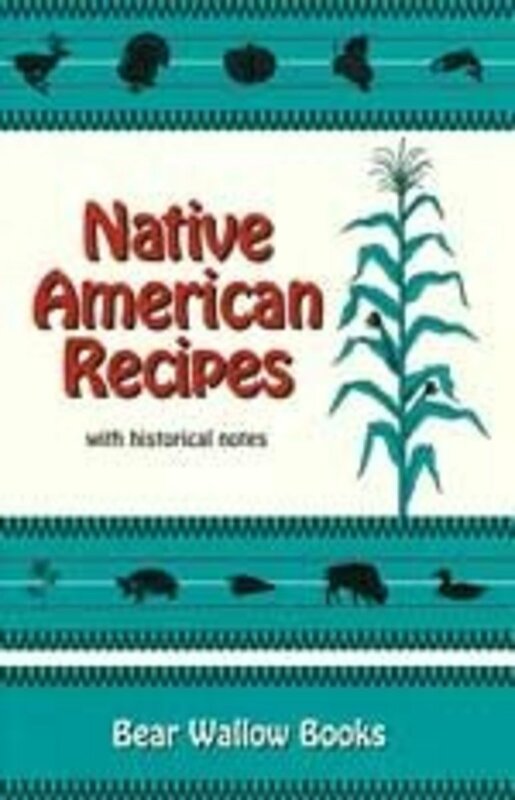 Read Native American folk tales and legends from different tribes to the children. The ones by Terri Cohlene are very good and they include a chapter which tells all about the where the tribe lived, how they lived, their customs, food, etc. My favorite is "Quillworker A Cheyenne Legend". After reading stories from two different tribes, the teacher can use a Venn diagram in a group discussion to compare the two. The children can start a few kernels of corn in a plastic cup with wet paper towels. They can observe and record (by drawing or as a teacher led activity), the progress of the seed as it grows. Little Gopher made his paints from different plants. The children could experiment with plants or spices like turmeric, onion skins, dandelion root, red cabbage, sunflower petals, etc. A complete list of native plants used in dyeing can be found in Delena Tull's, A Practical Guide to Edible and Useful Plants. Counting can be practiced using the rhyme and song, "Ten Little Indians". The moccasin card with addition or subtraction facts, Drop the handkerchief game can be played. ... alphabetizes to the second letter and located words in a picture dictionary. The teacher will provide a list of Thanksgiving and Indian words. The students will use picture dictionaries to define the words and write down the definitions. ... learns to recognize favorite authors, illustrators and characters. ... learns the parts of a book's cover... title, author, illustrator. ... appreciates literature on his/her own level. The Reading Rainbow episode or book and tape of Tomie DePaola's, Legend of the Indian Paintbrush. Have the book on hand and go over the parts of a book. ...learns to recall information based on print or non-print materials. 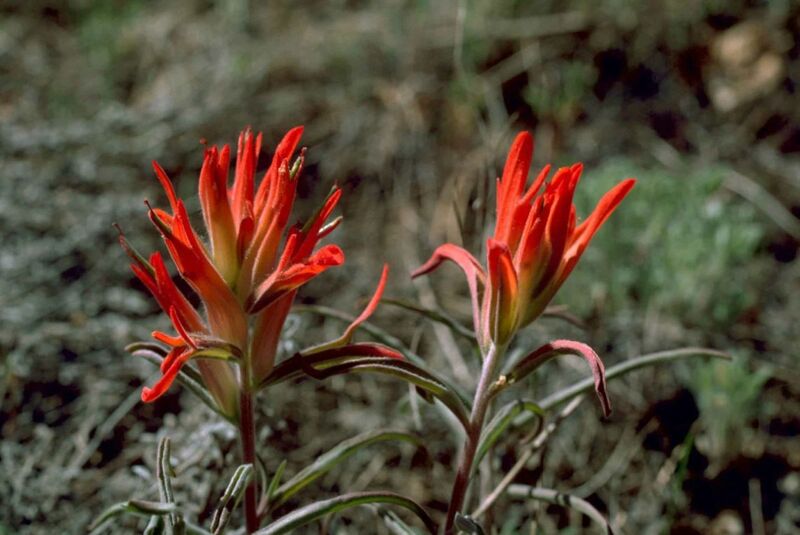 The students will be given a copy of a scene from the Legend of the Indian Paintbrush. They will use colored chalk and crayons to draw in the sunset and what was growing on the hills after the boy painted his picture. ... learns how to take notes using key words and phrases. 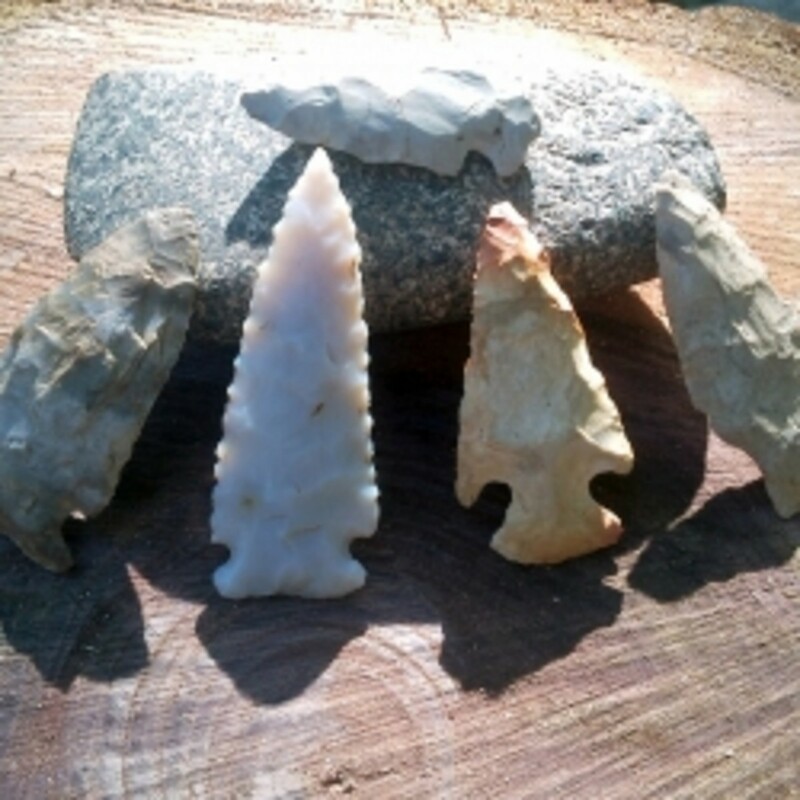 Display real Indian artifacts and objects (arrowheads, bead work, art work, pots, musical instruments, etc.) and pictures of Indian objects. Each object will have a 2 - 3 sentence description. The students will use a matrix to take notes. They will draw a picture and write a sentence about Indians. November issues of various children's magazines will be placed in the center as well. The students will use Indian picture writing to "write a story" onto a paper animal skin cut out. 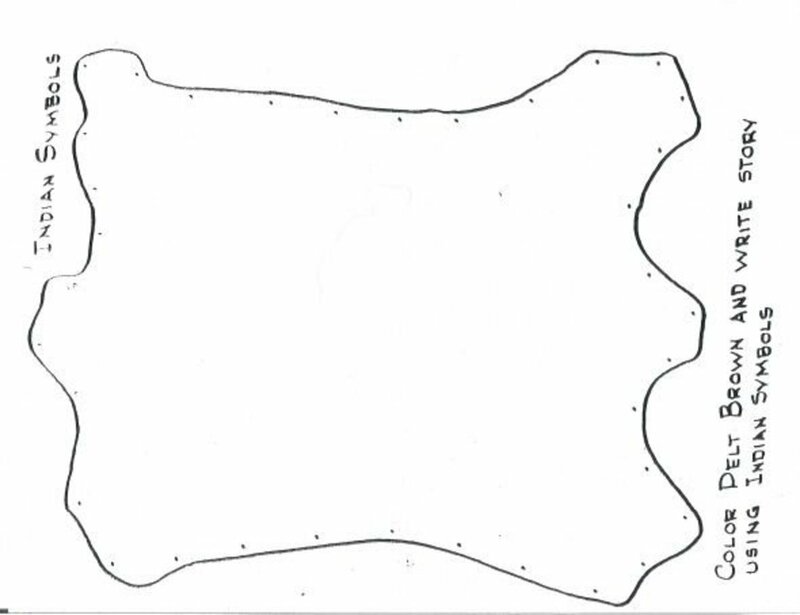 All worksheets will be in the shape of this animal skin so they can be made into an Indian booklet. This painting, Shaw Dance by Klock, is available on Zazzle. It demonstrates the beautiful needle work done by the women of the tribe. This booklet page can also be found at Blank Skin for Picture Writing , as well as Cover of Booklet plus two additional pages for the booklet. Feel free to copy these sheets. Do you include Library and Research skills into your thematic units? This "Reading Rainbow" book has wonderful illustrations and a beautiful story. 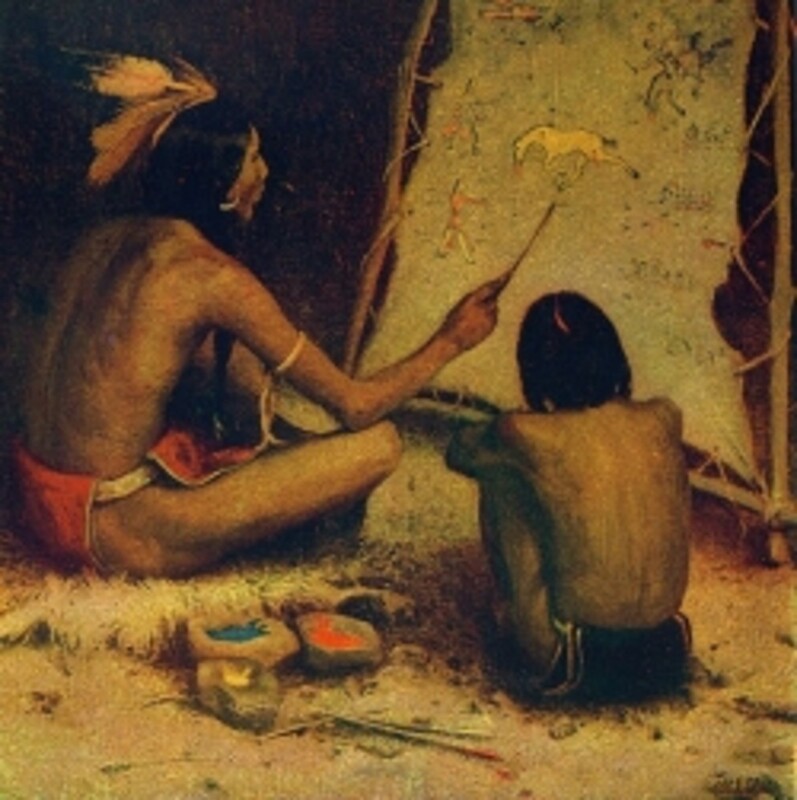 Paul Goble grew up in England, where he developed a deep interest in the culture of the Plains Indians. In 1977, he came to live and study in the Black Hills of South Dakota. 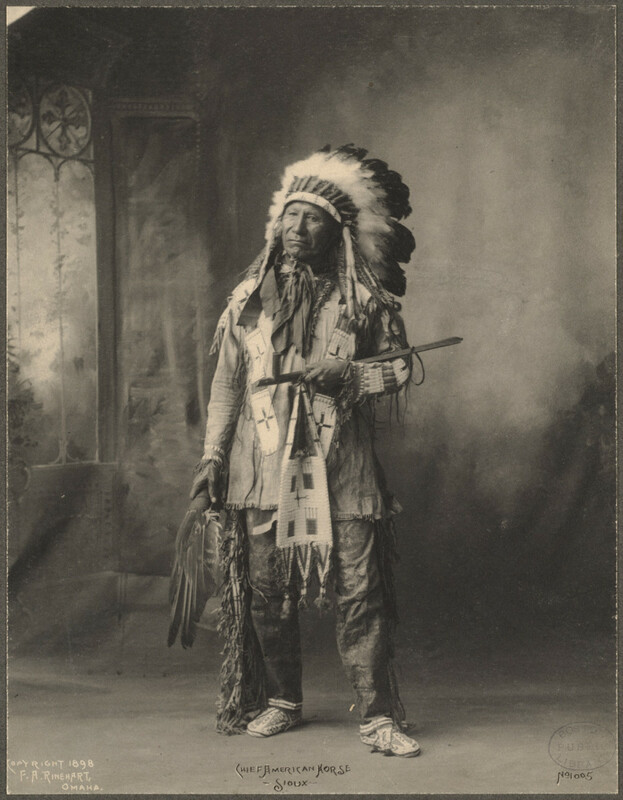 Greatly influenced by his adoptive father, Chief Edgar Red Cloud, and other Native American people, Paul Goble has created an outstanding body of work that celebrates Plains Indian culture. His distinguished books include the Caldecott Medal-winning The Girl Who Loved Wild Horses, Buffalo Woman, Dream Wolf, Her Seven Brothers, Adopted by the Eagles, and Storm Maker's Tipi. Paul Goble says, "Throughout my books I have tried to reflect the special Indian feeling of mystical relationship with nature." The New York Times describes Paul Goble's work as "a marriage of authentic design and contemporary artistry," declaring, "it succeeds beautifully." His artwork resides in a number of collections and institutions, including the Library of Congress and the South Dakota Art Museum. Paul Goble lives in the Black Hills of South Dakota with his wife, Janet. He was recently named an honorary Doctor of Humane Letters by South Dakota State University in Brookings. The children can make a Story Pyramid. 1. Line 1 put 1 word name of a character. 2. Line 2 put 2 words that describe the setting. 3. Line 3 put 3 words that describe a character. 4. Line 4 put 4 words in a sentence that describe one event. 5. Line 5 put 5 words in a sentence that describe another event. Other activities that are listed in the Grade 1 or Grade 3 unit may be adapted for this legend. 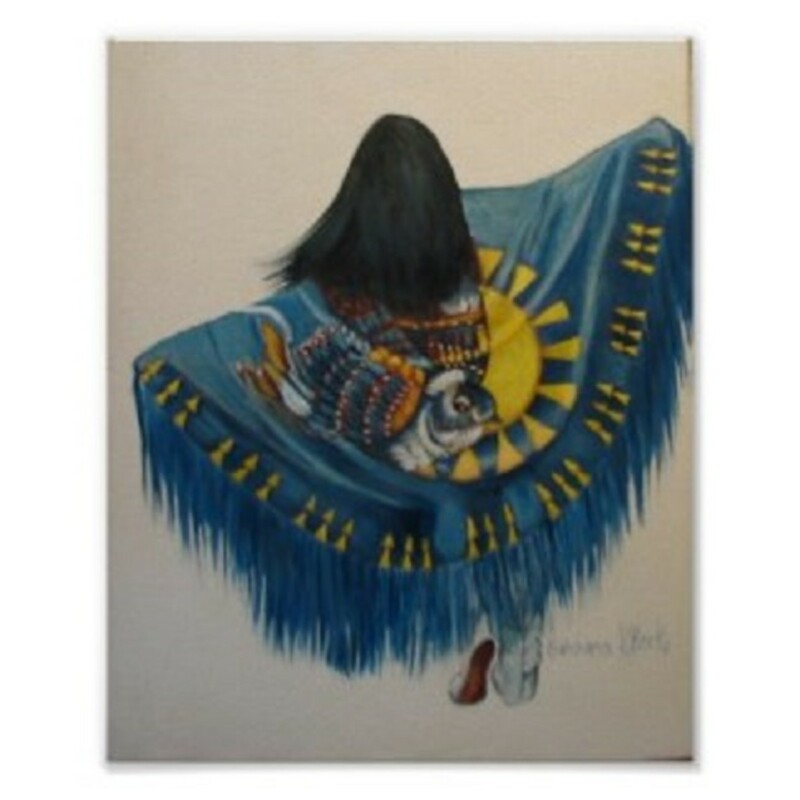 The Gift of the Sacred Dog is a retelling of a Sioux Indian legend. A study of the Sioux people can be undertaken. Terri Cohlene's, Brave Bear and the Ghosts: A Sioux Legend includes a chapter with photos and much information about the Souix tribe. 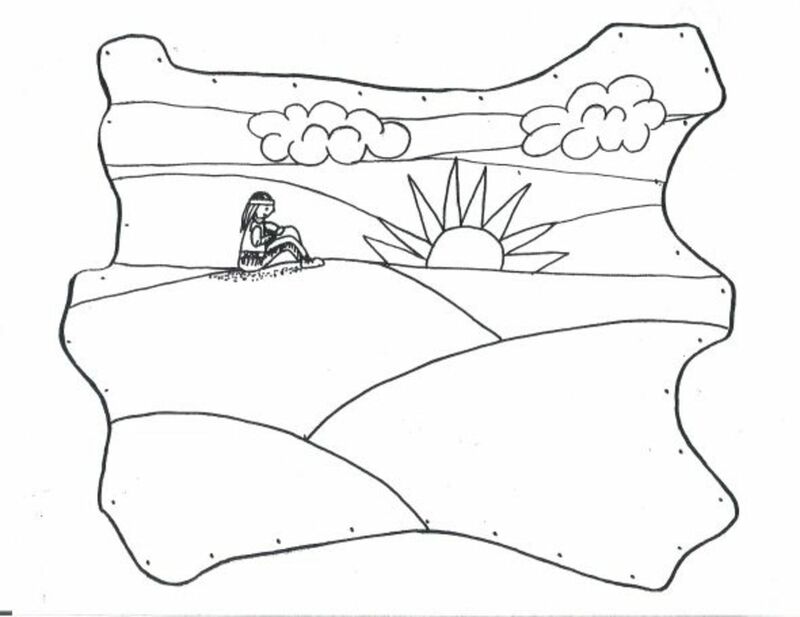 Activities from the first or third grade unit can be adapted to this story. Horses and mammals can be studied, using some of the research techniques using task cards and trade books listed below. Weather patterns such as drought and famine can be studied and daily weather data recorded as with third grade. Simple graphing using paper horse cutouts in which each child colors a horse his/her favorite color and then places it on a prepared bar graph on chart paper. The moccasin card with math facts Drop the Handkerchief game can be played. The students will be provided with task cards which ask them to find a certain page in a certain book. They then, read the page, close the book and copy a sentence from the card, filling in the blank. Suggested books: Terri Cohlene's Indian Legends. The teacher will prepare a task card to correspond with each of 6-8 (3 more than the number of students in the group) Native American books and have both books and task cards in the center. Read the page. Close the book. Copy the sentence below and fill in the blank. The students will observe the Indian display. They will write 5 words about Indian Life, then put the 5 words into sentences. The students will view the Reading Rainbow episode of Gift of the Sacred Dog by Paul Goble. The students will use the symbols of picture writing from Paul Goble's books as well as picture writing sheets to write a story on the front of their "Indian Portfolio" (a folded piece of 12 X 18 construction paper). If desired, the teacher can copy an image of the animal skin provided above. Paul Goble has illustrated many native American folk tales and legends including Buffalo Woman. The Girl Who Loved Wild Horses received the Caldecott Award. 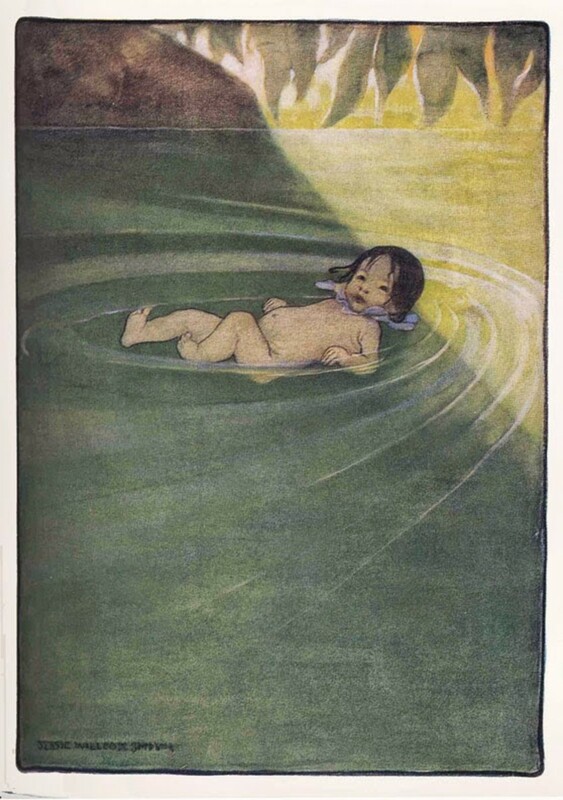 Children's literature is ripe with Native American myths and legends. Here are a few. This wonderful book presents the myths, complete with illustrations and descriptions of tribal nations. 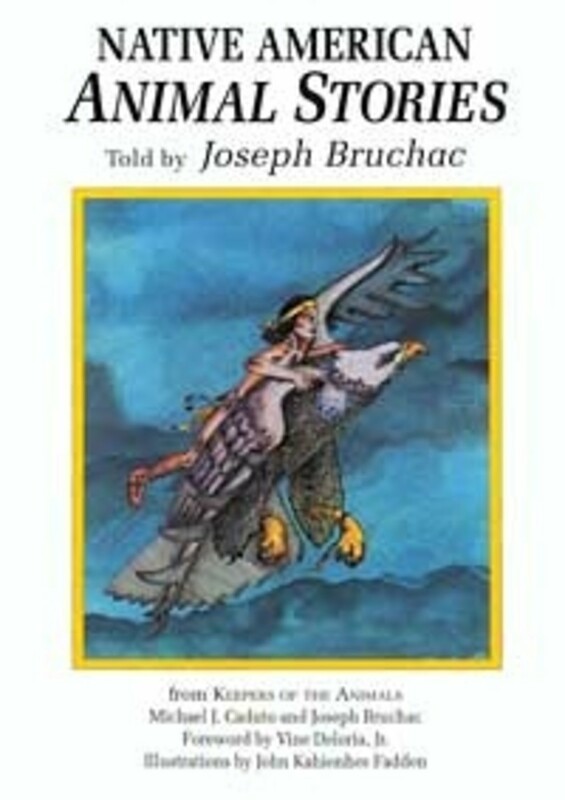 Told by award-winning Abenaki storyteller Joseph Bruchac, this collection of twenty-four mythical stories is drawn from legends of a variety of Native American cultures. The stories promote responsible stewardship toward all animals. This is a touching story about a young orphan giving up a prized possesion for the good of her tribe. It has lovely illustrations. Learn about Tomie dePaola from the biography on the first book or visit his official website, Tomie. Have each child fill out a character map on their favorite character from the story (see picture). Write the name of the character in the square. In the rectangles they will list adjectives or qualities that describe the character. In the ovals, the children write examples that support the adjectives. 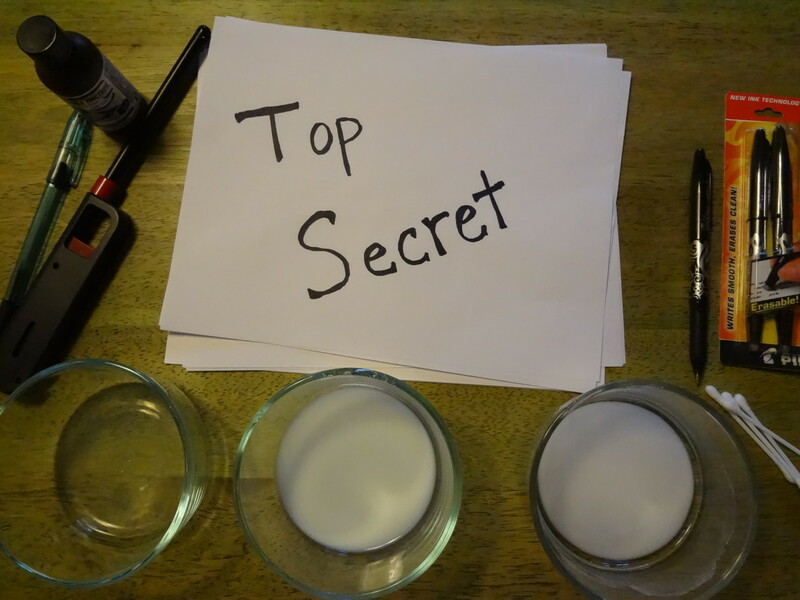 Have the children write a "sequel" to the story telling what they think happened the next day. Use a half-sheet postcard form and have the children write the author to tell him what they liked about the story and illustrate the other side of the postcard. Use a map of North America showing the location of the various Native American tribes. These can be found in encyclopedias or on-line. Make a task card or set of questions about the Comanche Nation. example: In what state did/do the Comanche people live? Name 2 rivers that are located in that state. What part of the state do the Comanche people live (north, south, east, west)? Name the state that is north (south, east, west) of the Comanche's state. 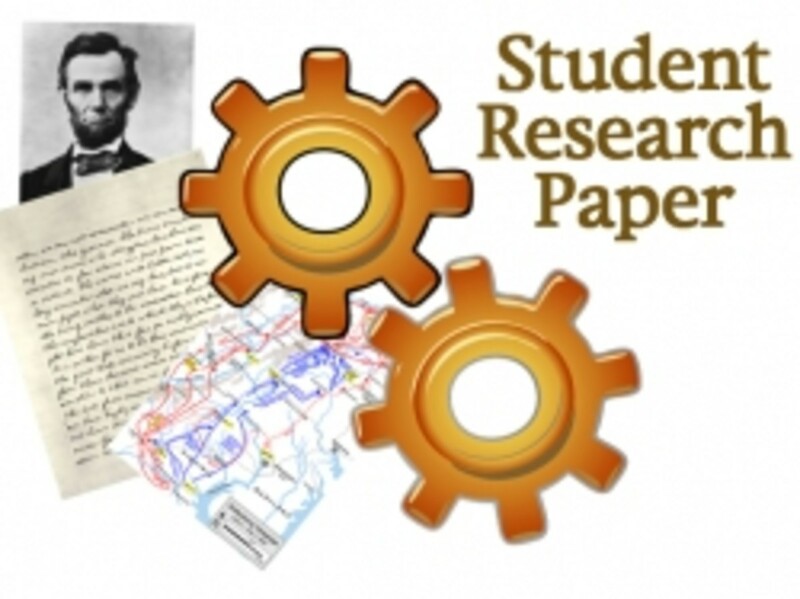 Have the students research their state flower and also the Native American tribes that lived in their area, then create a story about why the flower is so plentiful. Include information about the local Americans. Have the students think of one thing that they could do to help or improve that would benefit people at school, at home, in the community or the world in general. Have them write a paragraph about it. These can be compiled into a class "To Make the World a Better Place" book. Discuss drought and famine and the weather conditions that cause such catastrophes. Have the children check the weather map either in the newspaper or on-line and record the temperature, rainfall, humidity, fronts, etc. for a week. Conduct experiments which demonstrate the water cycle. Using a blank chart discuss and record why it is important for us to take care of the animals, water, plants and air. 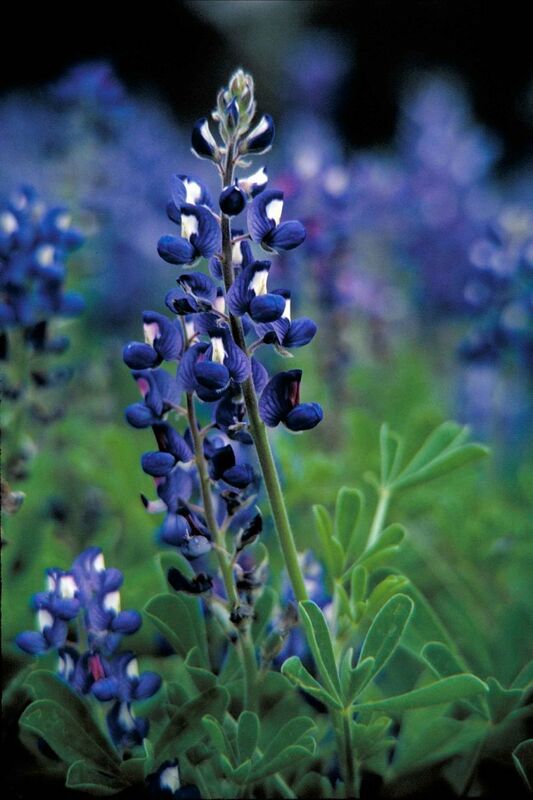 Depending on the time of the year, seeds of the bluebonnet, corn or another state flower could be planted and observed. Research the bird with the blue feathers that goes, "jay, jay". Let each child plant Bluebonnet seeds in a newspaper pot. Observe and chart their growth. When they are large enough allow the children to take them home. Students will use their weather data to calculate the total amount of rainfall, the number of days it was wet and dry, the number of days the temperature was above or below freezing, how much above or below the average rainfall, etc. The students can graph their weather data. Combine P.E. with Math by making small moccasin shaped cards from 4"X6" index cards or tagboard and put math problems on the cards. Play drop the handkerchief using the cards. If the child catches the child who dropped the card behind him and can answer the math problem, then he gets to drop the next card. ... recognizes the difference between a dictionary and an encyclopedia and what each is used for. The students will observe the Indian display and fill out a web entitled "Indian Life". ... learns to pick out the key words in a question and use them in either on-line searching or in an encyclopedia book. Both classes will use the encyclopedia to complete a "turkey trivia" or a page with research questions about Native Americans. ... appreciates literature from other generations and cultures. The students will view the book and audio of Legend of the Bluebonnet by Tomie de Paola. The students will construct miniature tepees from construction paper and toothpicks. They will use Indian Picture writing to personalize their tepees. ... monitoring of each student's completed tasks. ... utilization of a checklist to monitor task completion. Which is your favorite Native American Legend? Another legend, Please write it in below on Poll Comments. Where the shops and houses stand. Only woods and Indian people. Where we live and work and play! These DVD's will extend the study of the three legends. These classic Native American culture films feature the Navajo and Pueblo Indians of the Western United States. Students will learn much from these movies. North America was once a land of many native cultures, languages, and traditions. It is estimated that more than half of the foods known today originated on the North American continent and fed Native Americans. This book contains 51 recipes and descriptions of traditional methods for preparing breads, soups and stews, meats, vegetables, salmon, desserts, and special treats. Music can be played during sustained silent reading, art or physical education. Beadwork develops eye-hand coordination and even math skills. Gerald McDermott is a Caldecott award winning author-illustrator. His books would also make good springboards for thematic units. The picture books focus on Native American legends from different tribes so can be used in many creative ways. There are many legends about Raven the trickster. Arrow to the Sun won the Caldecott Award for best picture book. Reading Rainbow features childrens books centered around a theme. An episode of Reading Rainbow is an excellent springboard for a thematic or book related unit. Please Leave us a sign. Ramona, Could you suggest a more appropriate counting rhyme or song for first graders? I wasn't aware that the song was offensive to the First Nations. Perhaps we could substitute another word for Indian such as ponies, feathers or flowers? As a First Nations person I would have to say the song "10 Little Indians" is not appropriate. Very interesting, and I really enjoyed visiting. I especially enjoyed the legends. Thanks for the links to great resources. I love how much you've put into your lens. Just though I'd let you know that I stopped back by to include this lens in the featured lenses for my people of the lakes review. Very cool Lens, I've been researching Native Americans in the NYC area as of late; I'm reading a book called "The Last Algonquian" about a Native American named Joe Two Trees who was the last of his kind living in the Pelham Bay Park area of the Bronx around 1924. This should help many. Thank you for publishing this lens. It's a wonderful article. Great lens. I am not a teacher but a lifetime student. This lens and all it offers is one of the best learning tools that I have seen. Thank you for the hard work. Well done, I hope this will help more children learn about Native cultures. I'm quite impressed. What extraordinarily beautifully written unit studies. Thank you for sharing! How exquisit in every way and I can't think of a better word for it because I am just so impressed and can imagine children being totally fascinated and desiring to know more. You make it look easy but I know this represents many hours in this wonderful labor of love that will be enjoyed by many...way blessed! EXQUISIT!!! Great lesson plans and resources! SquidAngel blessings. We homeschooled all of our three children from day one through high school, and I can certainly attest to what a superb job you have done in making anyone's curriculum better. I love all Native American history, art, stories and artifacts. Very good lens with excellent information. You have done much research on the native Americans. The lesson plans are very useful. As I write this I am camped in an Objibwa powwow campground among red pine trees. One day a group from the tribe had a barbeque and practiced their drumming. It was wonderful. This lens has some great lesson plans to introduce children to the Native American culture. I'm listening to the first video now. 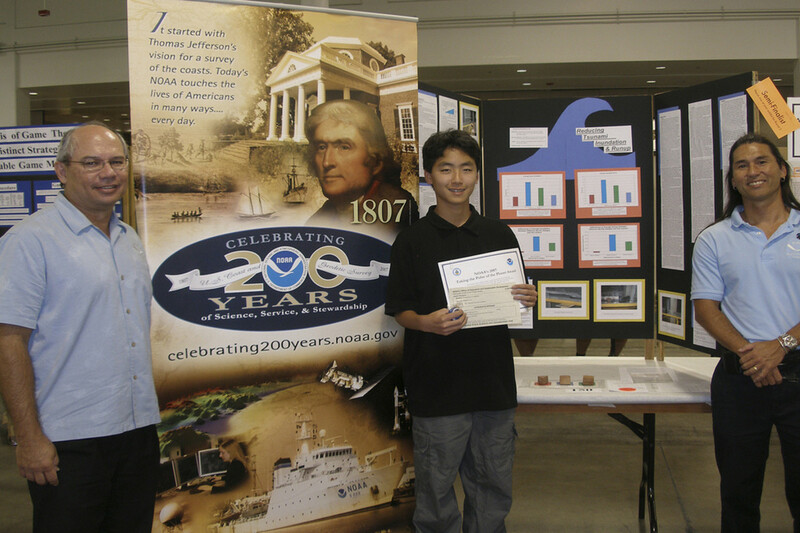 When I taught, I always included student research. I fell that it's just an unwritten law and a part of most learning experiences. Of course some just went through the motions and didn't do a very good job, but the reward was in the ones who took it seriously and came up with some shining nuggets. Great ideas! We enjoyed many of the books you listed when we did a unit study on Native Americans. I like what you did with this page, it has balance which is important in the Native culture. The lessons for kids are good ones and will help them. One of the things that many kids, as well as adults, forget is Indians aren't extinct :) It's hard to find new materials to teach about Native culture today. I am putting this on my Native American Month lens....as it does have good stuff. @KathyMcGraw2: Thank you, Kathy. I am honored. As a teacher and school librarian, I tried to expose my students to many cultures and also to the natural world. For as long as I can remember, I have felt a kinship with nature and our native people. Good lens! It's nice to see someone teach about these things ... much has been lost to ignorance and a lack of caring. Thank you so much for the great lens. I really enjoyed my visit here. Wonderfully presented! I have always loved all three of these legends. Blessed by a meandering Squid Angel. 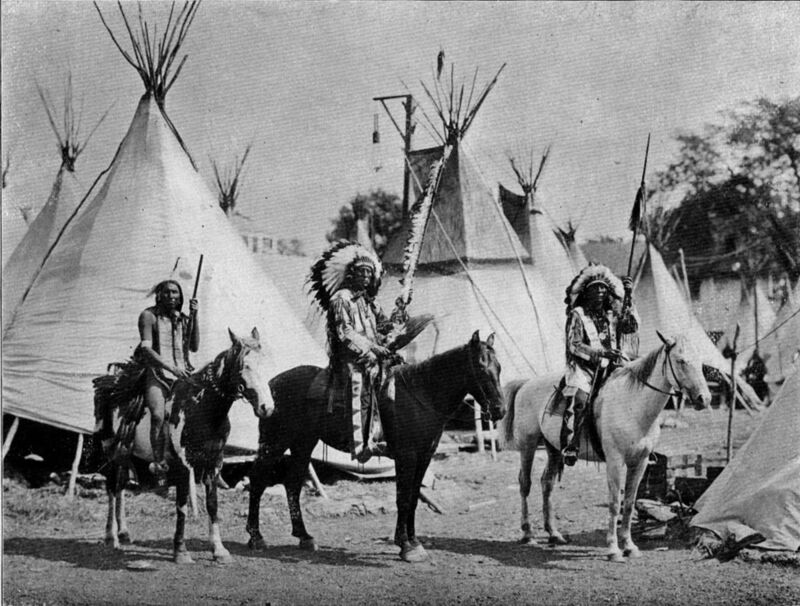 I featured this page on my Native American Unit Study lens: https://hubpages.com/education/northeast-and-south... . Thank you for sharing your great ideas! Love the Native American traditions. I had a party at my home recently that featured Native American dreamcatchers - powerful medicine. Legends are a fascinating subject and you've done great work in your research for this lens. What a beautiful tribute! As one with a bit of Choctaw &amp; Cherokee I thank you! Great lens. I am very partial to Native American culture and art. Great lens! My little guy and I are going to be studying Native Americans this year. I'll have to check out some of these resources. Blessed by an Angel and lensrolled to my Native American Unit Study lens. A great topic. Very good lens. Congratulatios. This is an AWESOME lens and I am extremely impressed. Thank you for lensrolling my Sioux Nation lens and I will return the favor, with honor, right now. @JoyfulPamela2: Thank you, I'm glad that you found it useful. @anonymous: Thank you for your kind words. 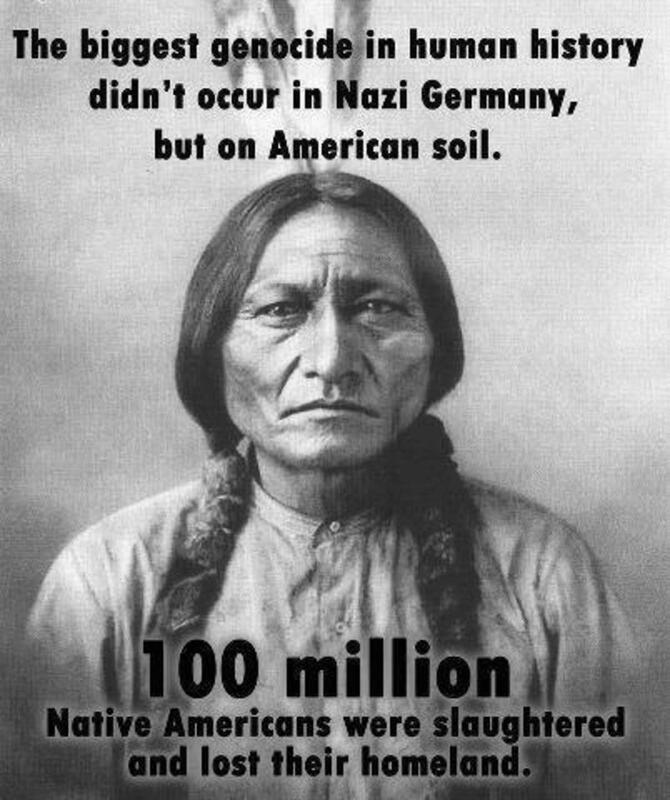 I have always had great respect for the Native American people and have tried to show this in my teaching. Your sharing and knowledge passed to us through this media is well received and appreciated. Nia'ish for all you have offered. Thanks, I'm a retired teacher / school librarian and I developed most of this unit when I was a "team teaching" librarian in the Library Power project. My goodness, a lot of time and energy went into creating this lens, not to mention the knowledge you must have of the subject. Well done. Five stars and favourite. Listening to the Ghost Dance, I actually did a report on it in Native American studies back in college. I work in a school and know some teachers will be interested in some of your ideas--so very well done! Blessed by a Booster Angel! Beautiful lens! What a wonderful lens! Very informative and the artwork is beautiful. Thank you so much for featuring my 'Paint Horse War Pony' on your Zazzle store page. I appreciate that very very much. I absolutely love your store. Congratulations on becoming a Giant Squid! This lens is wonderful!! Lensrolling to Black Elk! Beautiful lens. Nice work and very interesting. Another great lens with lots of great ideas! Wonderful lens! Thanks for the lensroll, am doing the same. Was a pleasure reading this!